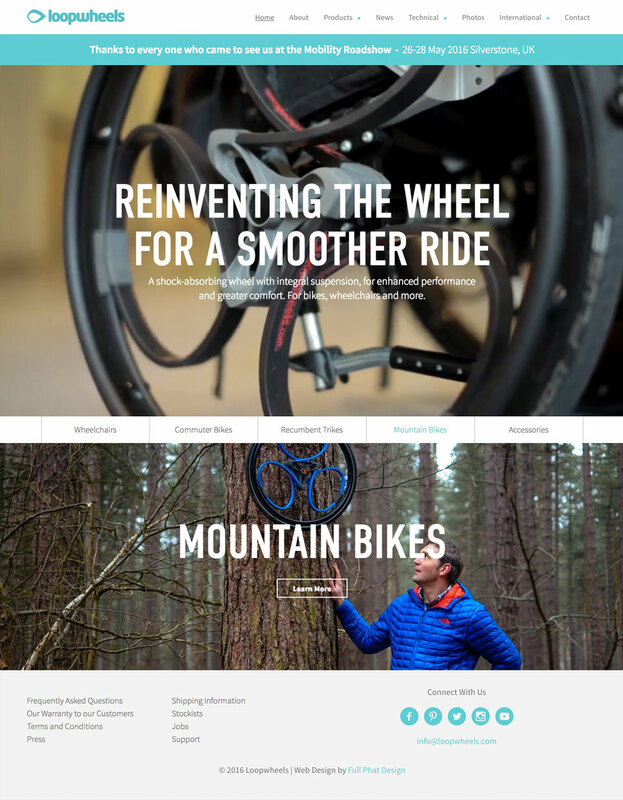 After building the very first Loopwheels site after their sucessful first ever Kickstarter campaign we were commissioned to build the second iteration of their web site with the addition of their new wheelchair Loopwheels and the ability for users to buy their products online. Sucuring one round of Kickstarter funding is an achievement, but two lots is virtually unheard of, this shows the strength of the Loopwheels product and how the Loopwheels wheelchair wheel will change peoples lifes, we knew we needed to create a web site which matched the ambition of the team behind Loopwheels. After trips to various locations such as Newark, Nottinghams Lace Market and Sherwood Pines we have spent quite a bit of time behind the camera with the Loopwheels team building a library of images for use on the web site and marketing material. 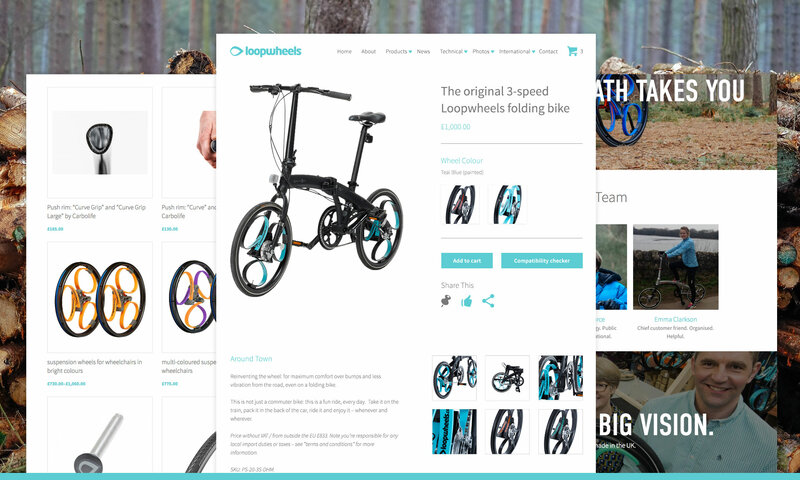 Using WooCommerce and WordPress allowed us to fulfill everything within the brief from the online shop and easily editable areas for the Loopwheels team to manage such as stockists, blog posts and virtually every part of the web site. Full Phat have designed two websites for us and did a lovely job on both. The team has huge creativity and we know the look will match our brand and speak with the voice we want it to. The visual look of the site is especially important when presenting your product to an international audience, not all of whom speak English. Full Phat have got that just right for us. They are a pleasure to work with.